Be ye therefore perfect, even as your Father which is in heaven is perfect (Matthew 5:48). The commandment to be perfect does not mean that God expects us to achieve a level of perfection equal to His own in this life. Perfection at that level is not possible during mortality. Even Jesus Christ, who was without sin during mortality, did not achieve perfection during his mortal life. In Luke, chapter 13, in the Bible, Jesus explains that He will be perfected upon His resurrection. According to the footnote for this verse in the Bible Dictionary for The Church of Jesus Christ of Latter-day Saints’ edition of the Bible, the word we translate as perfect means, in the Greek, to be complete, finished, and fully developed. It is not possible to be fully developed or finished while in mortality, and even the Savior did not achieve the type of perfection He commanded us to achieve until His resurrection, when He received a perfected and glorified body and was free of earthly challenges. Jesus meant for us to work towards perfection. Although mistakes are inevitable, the atonement of Jesus Christ makes it possible to repent. When we repent fully and in the proper spirit, our sin is washed away, leaving us, at least temporarily, perfected. Each time we repent, we move closer to the perfect state we are asked to eventually achieve. As people in the process of seeking perfection, we must be continually developing our worthy talents and skills, learning God’s teachings, developing a personal relationship with our Father in Heaven and Jesus Christ, and repentingt of our sins. Elder Nelson notes that although the Bible describes several men as perfect, it does not mean they never made mistakes. The purposes of mortality include being tested and gradually improving our ability to live the gospel of Jesus Christ. 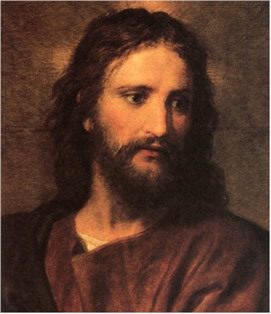 The atonement of Jesus Christ provided for repentance to help move mortal men and women towards perfection. He offers a scripture in James that helps us to understand what is meant when we describe a mortal being as perfect: “If any man offend not in word, the same is a perfect man” (James 3:2). This suggests that we perfect ourselves in specific areas, such as control over our speech. James says that a man who can do this can then have mastery over his entire body. Each level of perfection we achieve leads us to the next. Jesus instructed his followers to be perfect even as God is. Since Jesus was still serving his mortal mission, this means He was referring to eternal perfection. In the Book of Mormon, when Jesus spoke to another ancient group after He had been resurrected, He altered the instruction slightly: “I would that ye should be perfect even as I, or your Father who is in heaven is perfect” (3 Nephi 12:48). Having been resurrected, Jesus Christ was now perfected and so could instruct followers to be like both Him and God. Eternal perfection is reserved for those who overcome all things and inherit the fulness of the Father in his heavenly mansions. Perfection consists in gaining eternal life—the kind of life that God lives (Russell M. Nelson, “Perfection Pending,” General Conference of The Church of Jesus Christ of Latter-day Saints, October, 1995). This page was last edited on 19 September 2013, at 10:46.